P. S. Krishnaprasad received his Ph.D. degree from Harvard University in 1977. He was on the faculty of the Systems Engineering Department at Case Western Reserve University from 1977 to 1980. He has been with the University of Maryland since August 1980, where he has held the position of Professor of Electrical Engineering since 1987, and a joint appointment with the Institute for Systems Research since 1988. He is also a member of the Applied Mathematics Faculty and is a participant in the Neuroscience and Cognitive Science Program. Krishnaprasad has held visiting positions with Erasmus University (Rotterdam); the Department of Mathematics, University of California, Berkeley; the University of Groningen (the Netherlands); the Mathematical Sciences Institute at Cornell University; and the Mechanical and Aerospace Engineering Department at Princeton University. 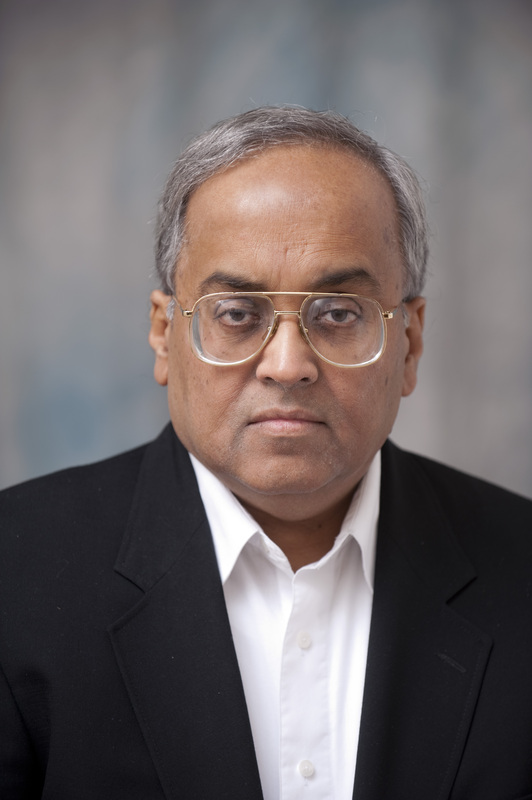 Guided by a central interest in geometric control theory, geometric mechanics, Lie groups, and distributed parameter systems, Krishnaprasad has made contributions to the study of the geometry of parametrization of linear systems, the Lie algebraic foundations of some nonlinear filtering problems arising in system identification, the Lie theory and stability of interconnected mechanical systems (e.g., spacecraft with elastic attachments, spinning rotors, and fluid-filled cavities), and symmetry principles in nonlinear control theory. In recent years, Krishnaprasad has worked on: problems of modeling, design, motion planning and control arising in mobile robotics (legged and wheeled vehicles, autonomous underwater vehicles and autonomous aircraft); geometric methods in nonlinear dynamics; time-frequency analysis of acoustic signals and systems; intelligent control architectures, in part inspired by biological paradigms such as central patterns generators and neuronal networks; the technology and theory of smart materials such as piezo-electric and magnetostrictive materials for use in actuation and sensing; problems of high resolution optical wave front control; problems of integration of actuators and sensors in control networks; and new types of particle filters for approximate solutions to nonlinear filtering problems. Currently he collaborates closely with biologists and engineers exploring sensing and control in nature, and is actively engaged in problems of control of collectives, i.e. communicating, networked, control systems. P. S. Krishnaprasad was elected a Fellow of the IEEE in 1990 for his contributions to geometric and nonlinear control and engineering education. He was appointed a 1998-2000 Distinguished Faculty Research Fellow of the University of Maryland. Ghanadan, Tan, and Viniotis inducted for leadership and meritorious contributions to engineering, humanitarian efforts, and the application of their engineering education to other disciplines. His research interests are in the design and control of marine robots and mobile sensor networks, as well as cyber-physical systems theory. Alumnus earned Ph.D. with Krishnaprasad in 1997. Biswadep Dey and Ravi Garg receive assistance from the Kulkarni Foundation in the final stages of their Ph.D. research. More than 20 undergraduate students participate in research projects sponsored by ECE and IREAP. Story features Tan's artificial muscle-enabled robotic fish. The $1.8M grant is a collaboration with National Geographic to monitor and protect endangered species. Three ECE Ph.D. students were awarded Distinguished Dissertation Fellowships, four received honorable mention. Flocks and swarms of birds and insects will be studied to discern underlying principles, build models and algorithms.